middle aged foodie with grown children. Definitely old school about cooking and feeding people. Somewhat interested in new cuisines but not trendy, pricey and non filling foods. I'm all about food that looks, tastes and feels good. Hi Lisa...thanks for all your enthusiasm. 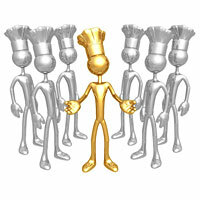 Looking forward to your best creations from that kitchen lab of yours ;o).